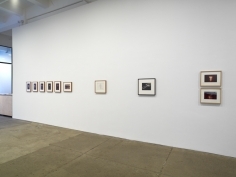 Galerie Lelong is pleased to announce its eighth exhibition of the work of Ana Mendieta, entitled Ana Mendieta: Documentation and Artwork, 1972-1985, which marks the 25th anniversary of the artist’s death at the age of 36. 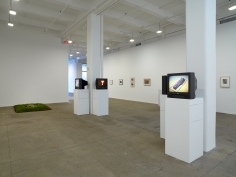 On view will be original photographs, slides and other materials from the artist’s archive that have never been exhibited, along with rarely seen photographs, drawings, sculpture and recently restored films. The exhibition will span Mendieta’s entire career, from her explorations as a student in Iowa in the early ‘70s to her works in the mid-‘80s made while living in Rome as an accomplished artist, and will examine a number of significant motifs that recur throughout her work including blood, fire, and concealment. 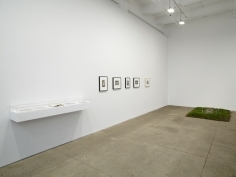 Mendieta returned to these elements in a number of series and projects, each time considering a different facet of their implications on the body and landscape. The artist’s sister, Raquelin Mendieta, who was instrumental in the organization of the exhibition will be present at the opening on Thursday, October 28, 6–8 pm. 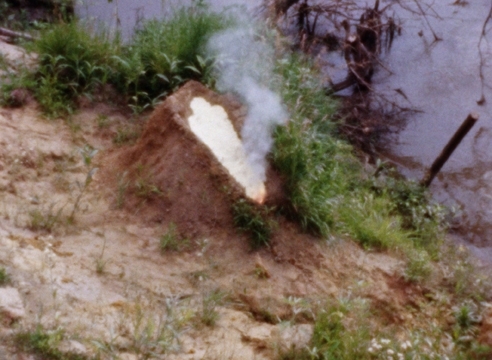 Since Ana Mendieta’s retrospective at the Hirshhorn Museum and Sculpture Garden in 2004, there has been a continuing re-evaluation of her work, and also of time-based performance work. Recent exhibitions such as 2007’s WACK! 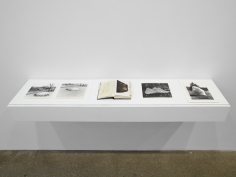 Art and the Feminist Revolution have highlighted artists who pursued an investigation of the body, landscape and endurance in actions that were often ephemeral and intangible. As an outgrowth of study on these practices, critics and art historians have debated the role of documentation in performance art. 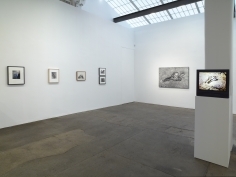 Immersion into Mendieta’s body of work demonstrates that process and product are not often strictly delineated. 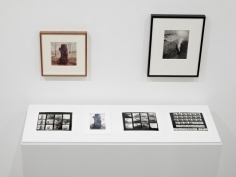 Mendieta matched her integration of themes and media with a fluid approach towards documentation and presentation. A prolific, highly experimental artist, the images that Mendieta printed in her lifetime represent a small fraction of the original slides and negatives that remain in her archive. 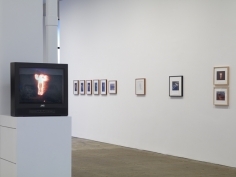 Ana Mendieta: Documentation and Artwork, 1972-1985 displays how thoroughly and, at times, obsessively Mendieta approached the visual conceptualization of her images. Her persistence is most apparent in her silueta [silhouette] works, which she explored throughout her career. Two siluetas that will be exhibited are Silueta de Cohetes and Alma en Fuego. These works each use fire and refer to transformation and transfiguration, expressing the elements of religion and folk spirituality that so fascinated Mendieta. The numerous slides, negatives, and Super 8 films for the works are testaments to Mendieta’s ability, with quite simple documentation, to create iconic, indelible imagery that remains alive long after her transient gestures. 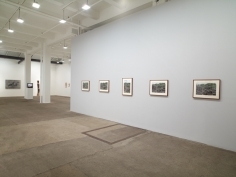 Galerie Lelong has exclusively represented the Estate of Ana Mendieta since 1991. 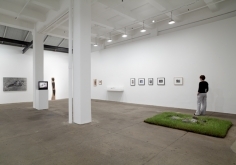 Mendieta’s work has been exhibited in solo exhibitions at over 30 museums worldwide, including the Helsinki City Art Museum, Fundació Antoni Tápies in Barcelona, Centro Galego de Arte Contemporanea in Santiago de Compostela, Hirshhorn Museum and Sculpture Garden in Washington D.C., Kunstmuseum Luzern, Whitney Museum of American Art in New York, Museo Nacional de Bellas Artes in Havana, and Museo de Arte Contemporaneo in Monterrey. 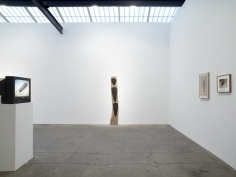 Since her last exhibition at Lelong in 2008, Mendieta’s work has been featured in over 20 museum group exhibitions, a solo show at Alison Jacques Gallery in London, and a dedicated area at the Tate Modern in its display of the permanent collection. Mendieta is currently featured in Crossing at Paço de Artes in São Paulo, Signs of Life: Ancient Knowledge in Contemporary Art at the Kunstmuseum in Luzern, and The Original Copy: Photography of Sculpture, 1839 to Today at the Museum of Modern Art in New York.